Jewelry is a staple in many people’s lives. Some collect jewelry for fun or for the sheer pleasure of wearing one. Many acquire them as a form of investment, while others consider it as part of tradition. But despite owning jewelry for most of our lives, there are still a lot of things we don’t know about them or, worse, believe to be true but turn out as a myth. It is easy to be taken by the shiny crystals in your grandmother’s brooch, but are they real sapphires or mere sparkling glass? Do you need to bite gold to establish its authenticity? Are diamonds really indestructible? Jewelry myths abound, even in the twenty-first century. Here are some myths that are now debunked. There was once an old rule that says you cannot wear gold and silver jewelry together. In the age of modern fashion and the growing popularity of ring stacking, more and more people, from style icons to celebrities, mix silvers with their golds. The result can still look spectacular. A perpetuating myth about diamonds is that it is unbreakable. Although diamonds are indeed classified as 10 on the Mohs scale of hardness, it does not mean that it is impossible for them to break. They last a long time because of their hardness, but they can be cracked by hitting them directly or exposing them to extreme temperatures. One of the most common myths on jewelry is checking the authenticity of gold by biting into it. It came from Hollywood portrayals of miners who bite gold coins to know if they’re real. This practice is not only futile as there are other materials, like lead, that can be just as soft as gold; this is also highly unsanitary. There is a myth about pearls dissolving easily, one that originated from Cleopatra, who was said to have dissolved pearls in vinegar and drinking them during one of her most expensive parties. While it is true that pearls can melt in vinegar, the process is not as instantaneous as is implied. It can be slow and take several days. Rose gold and white gold have grown in popularity, creating the misconception that gold actually has three colors. In fact, the only pure gold is the yellow one. The other gold colors are actually created by combining yellow gold with other metals like copper, iron, or silver, giving them their distinct colors and increasing their durability. There are always common assumptions that the size of the stone determines its value. While bigger stones do tend to cost more, this method of checking is not reliable. It can happen that a large diamond of mediocre color can cost considerably less than one that has high-quality color but is smaller in size. Couples planning to get married flock on jewelry stores for the perfect engagement ring. Diamond is often considered as such. They say it’s not great unless it’s diamonds. 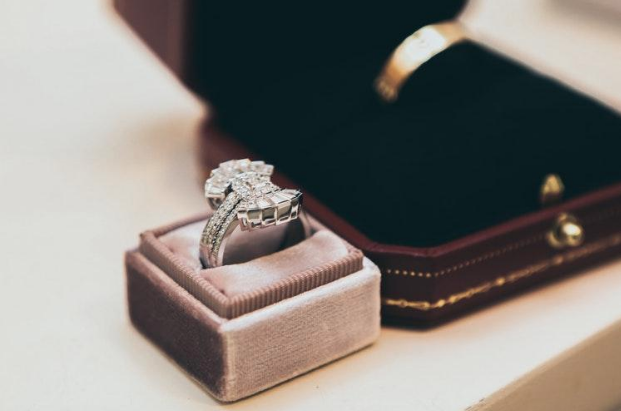 Times are changing, however, as cheaper engagement rings like white sapphire, white topaz, and moissanite rings are getting more popular nowadays. They can be perfect alternatives for those who are on a tight budget. There’s long-standing belief on opals bringing bad luck. This myth stemmed from competition when France allegedly started this rumor to destroy the British Empire’s opal industry. Fortunately, it did not totally turn people off opals. It is even a symbol in the Victorian and art nouveau eras. Opals, however, are very delicate gemstones, so they must be handled with care. This is a common method in cleaning and taking care of your jewelry, and it may work for some of them. But a word of caution: toothpaste can damage your gemstones (even diamonds) and metals. It is especially damaging in gemstones with low Mohs hardness as it can graze their surface. The same is true when it comes to opals and pearls. Since they are generally porous, toothpaste does not only cause discoloration but also dull their prized luster. There are many myths surrounding jewelry. Some can be amusing, but others can put you at a disadvantage. It is only sensible to know and learn all about them so you can make better and informed decisions when you buy jewelry.